With Man United not having the best of transfer windows this summer, it’s easy to see why some fans of the club may not be too optimistic about their chances this year. With the only big name arrival at the club being Brazilian midfielder Fred, it seems like the Red Devils may be a big thin on the ground this year if injury strikes at Old Trafford. 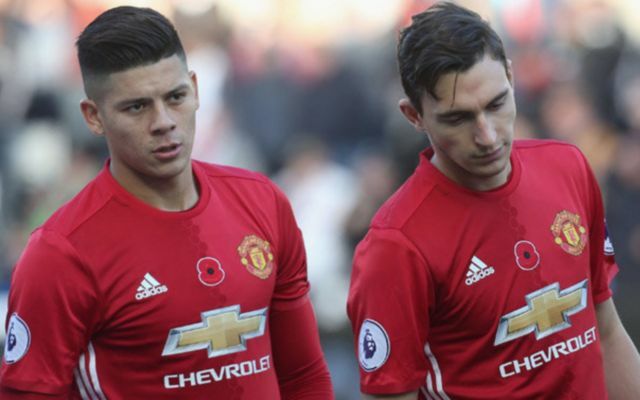 And it seems as if Jose Mourinho may have had this same thought, as according to ESPN, the United boss has informed both Matteo Darmian and Marcus Rojo that he’s keen to see them stay at the club beyond this month. 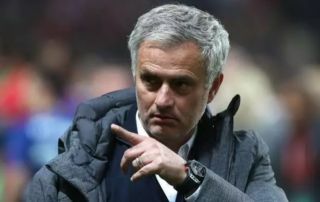 The report also notes that Mourinho wants to keep the duo at the club until at least the winter transfer window, something that indicates he may be set to dip into the transfer market in January to bolster his squad. Having only brought in youngster Diego Dalot to improve this side’s defence this summer, it’s not really surprising to see Mourinho keen to see both Darmian and Rojo stay with him in Manchester. Both the Argentine and the Italian have found themselves somewhat out-of-favour at Old Trafford in the past few years, so it’d be easy to see why they’d want to leave the club in order to secure regular, first team football. It seems like Mourinho may be getting a bit desperate if he’s informing Darmian and Rojo of his want to see them stay, something he wouldn’t have had to do had he stuck his finger out in the transfer market this past summer.